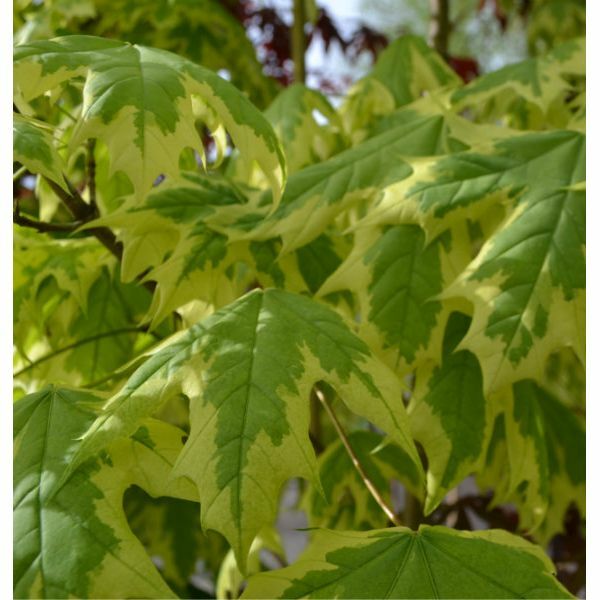 Variegated Norway Maple. Broad headed large tree with a dense crown. Green leaves margined with creamy - white. Ultimate height : 15 metres. Write a review about "Acer platanoides 'Drummondii' 10L pot"
We want to know your opinion! Write a review about the product “Acer platanoides 'Drummondii' 10L pot” and win a National Gardening Gift Voucher of £25 ! Would you like to buy Acer platanoides 'Drummondii' 10L pot? Visit Derwen Wholesale!